The INTERPOL General Secretariat employs approximately 800 staff members from 100 different countries. Staff are based at the main Secretariat building in Lyon, France, the Global Complex for Innovation in Singapore, or in one of our regional offices. 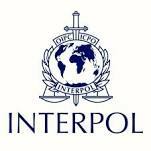 Approximately one-third of these staff are seconded or detached by their national law enforcement administrations in INTERPOL’s 190 member countries; the others are international civil servants hired under contract directly by the Organization. INTERPOL accepts applications from nationals of all its member countries to ensure that the organization remains truly representative. Staff work in the organization’s four official languages: Arabic, English, French and Spanish. INTERPOL’s staff values are respect, integrity, excellence, teamwork and innovation. The actions of international officials should be guided by these values which they should reflect in their work and daily activities through their actions and behaviour.